In June 2015, Engine rebranded Jam to Deep Focus London to give the network's international digital division a unified identity. On the plus side, the name change and some reshuffling among the management team don’t seem to have undermined the London agency’s creative output. 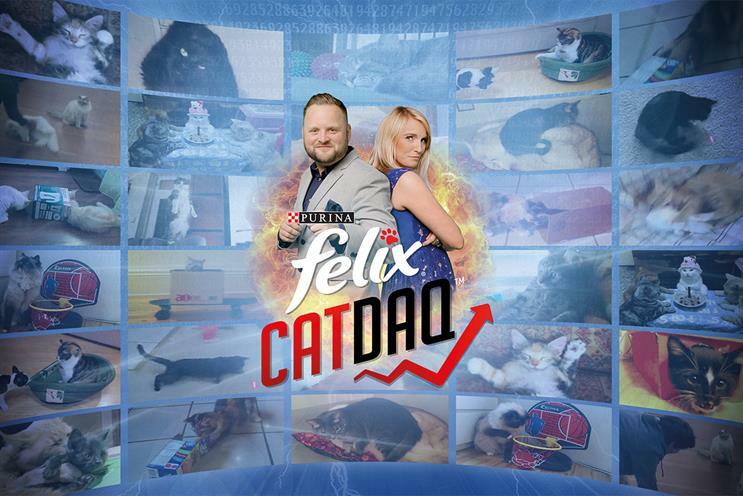 Indeed, Deep Focus jumped on the unfathomable popularity of cat videos on YouTube (there are more than 36 million on the site) to create CATDAQ – a made-up stock market for trending cat videos – for the pet-food brand Felix. The channel has received almost 9.5 million views and earned about 7,500 subscribers since launching in March 2015. Later in the year, the agency captured the social account for Amazon Fashion and helped roll the brand’s website out across Europe with a video encouraging women to overcome their fashion insecurities. Deep Focus picked up seven new clients over the year, including Fire Kills and Nato, and added additional briefs from Purina (European masterbrand and snacks accounts). Although the agency fell short compared with 2014 in terms of client retention (a year when no business was relinquished), three of the six accounts that went by the wayside were resigned (Bupa, Endemol and News UK) and its biggest loss was the £400,000 Samsung Mobile account. For the year ahead, the chief executive, Richard Costa-D’sa, will need to work closely with the global team to live up to Engine’s claims of creating "the most comprehensive digital and social media marketing agencies across the UK, US and China". "What a year. A successful rebrand made us the first global creative agency within Engine. Launching Amazon Fashion across Europe by challenging long-held perceptions about fashion and creating the world’s first made-up stock market for trending cat videos were work highlights. There were plenty more including over 20 awards for work on #feelingnuts, Samsung and Xbox. Less of an aural highlight was the agency Christmas choral extravaganza…"